Since 1989, Scanco has been a leading provider of supply chain automation software and services. Since our inception, we have focused on innovative warehouse management solutions with a unique technology-driven approach. Our solutions deliver unequaled efficiency and visibility for distribution and manufacturing companies around the globe. 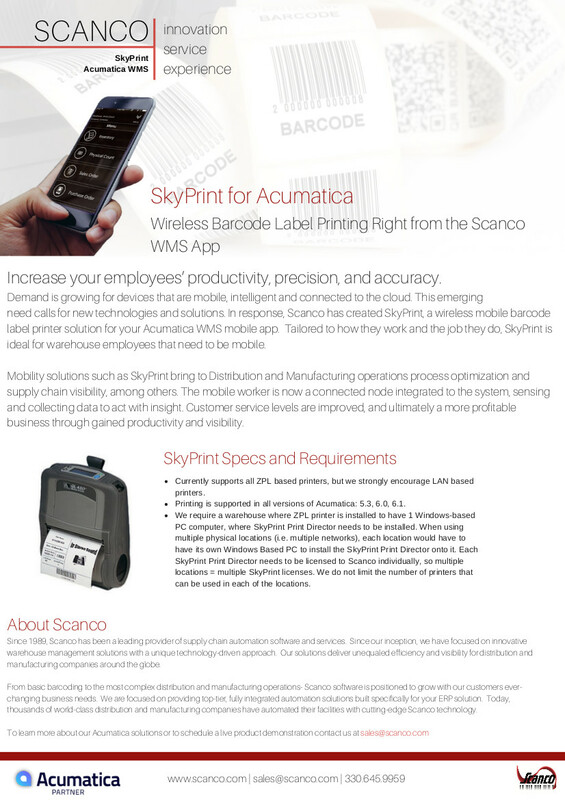 From basic barcoding to the most complex distribution and manufacturing operations, Scanco software is positioned to grow with our customers ever-changing business needs. 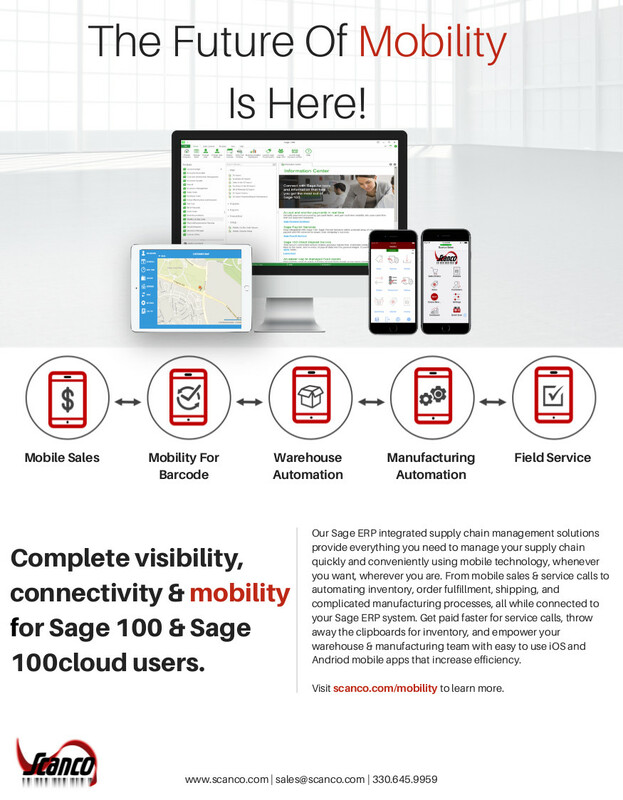 We are focused on providing top-tier, fully integrated automation solutions built specifically for your ERP solution. Today, thousands of world-class distribution and manufacturing companies have automated their facilities with cutting-edge Scanco technology. 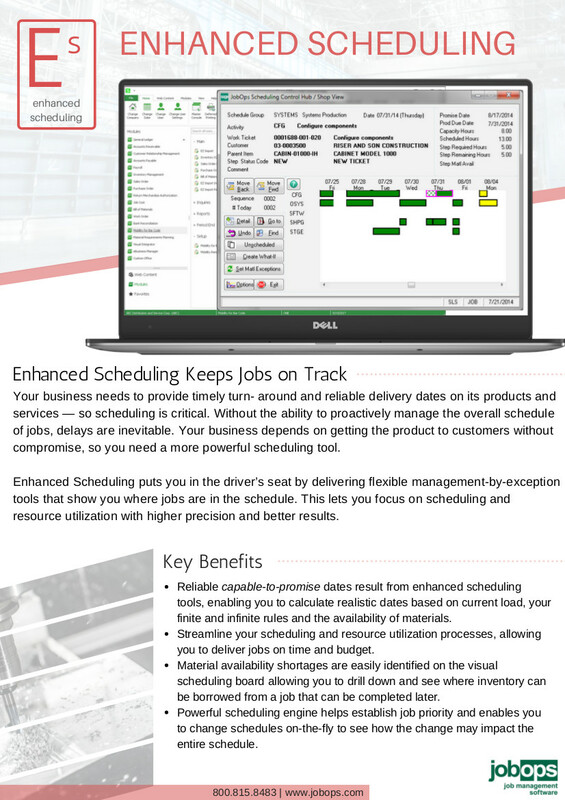 Our suite of software increases the productivity of our client’s organizations through automation of job management functions as well as giving real-time insights into the workflow of the organization. 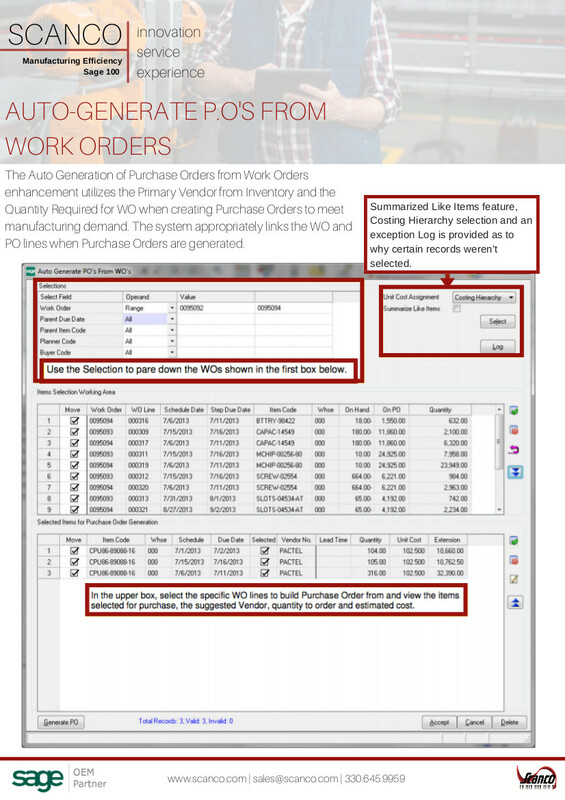 With JobOps there are no redundancies in data entry, there is no guesswork in ordering inventory, or tracking materials and labor for a particular job. JobOps gives your team the software needed to ensure a lean, productive organization. 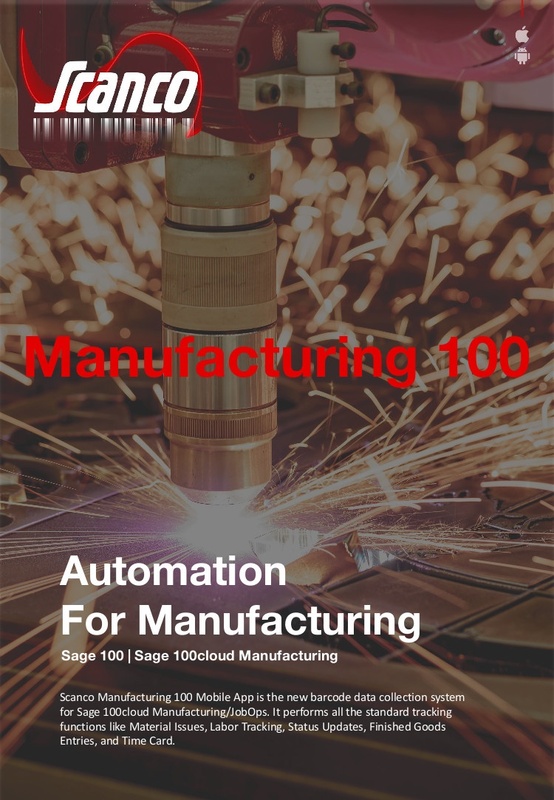 Sage 100cloud Manufacturing/JobOps manufacturing modules give you the ability to create multi-level bills and produce accurate, informative reports detailing bill structures. And when goods are finished, they can be completed in Inventory Management or Sales Order for seamless integration with the distribution system. Additionally, manufactured component items can be completed to other work orders during the manufacturing process. JobOps a Scanco Software company, was explicitly developed for Sage’s award-winning Sage 100 Accounting Software. 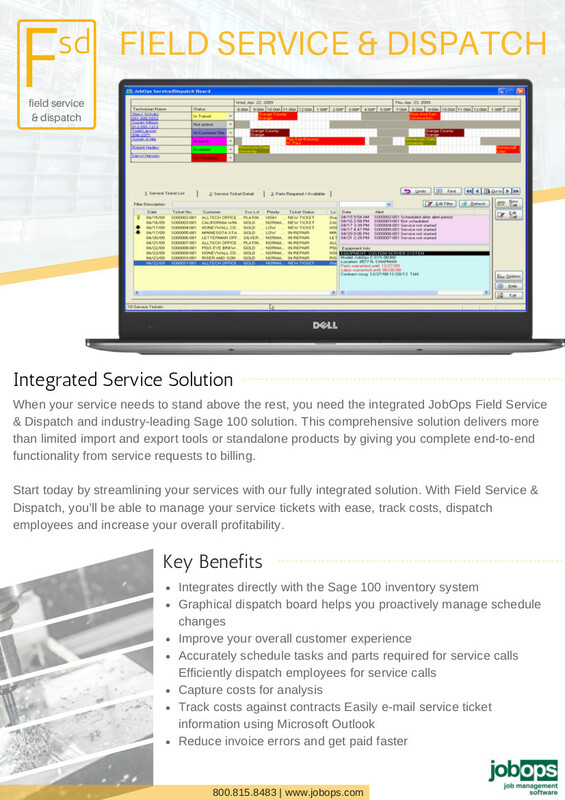 With over 18 years’ experience and hundreds of customers across the United States, JobOps has a proven track record in meeting the unique needs of organizations that demand on-time delivery and job profitability.